What actionable data are you getting from your Website Provider? Dealers have come a long way in terms of expanding their online presence over the past few years. As customers started moving their research efforts online, dealers have adapted by shifting a portion of their dealership marketing efforts toward the Internet. In addition to third party lead providers like Cars.com and AutoTrader, dealers should be investing a fraction of their advertising dollars on driving visitors to their dealership website. The easiest and most effective way to do this is through pay-per-click (PPC) advertising on search engines like Google and Bing. But how can these campaigns be tracked efficiently? Is there enough information available to have a complete understanding of ROI for online advertising? And most importantly, are you getting the right information to make informed decisions from your website provider? The answer is not so clear cut. There will always be customers that see an advertisement, visit the website, and eventually buy a car without ever having “converted” by filling out a lead capture form online. The purpose of this article though, is to show you exactly how much information is available for users that choose to convert on your site – assuming you already have Google Analytics installed. We recently had our dealership website completely redeveloped. This created a wealth of increased opportunities for transparency and control. We utilize a jQuery plugin called UTM Monster that pulls visitor information (source, medium, keyword, campaign) from the cookie that Google Analytics places for every visitor. We then use some additional jQuery to add this information to hidden fields on all of our contact forms. This means each and every form that is submitted has the full information about the prospect, how they found our website, and whether or not we paid for them to get there. Furthermore, we set up ADP CRM to label each of our Internet leads based upon source (Google, Bing) and medium (organic, cost-per-click) so we can instantly tell whether or not we paid for a particular lead that came from our website. At the end of the month, we filter our leads to show only sold customers and have an instant measure of ROI for the month. 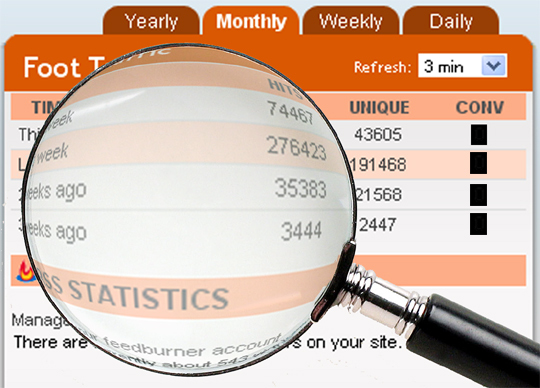 Additionally, we use a service called Mongoose Metrics that provides keyword level call tracking. When a visitor comes to our website from a search engine, they automatically get served a unique phone number on every page of our site. If they call that number, Mongoose Metrics places a virtual pageview to a hidden page on our site that captures all of the visitor information from Google Analytics. We need only view our Google Analytics reports to find out which PPC campaigns are working to generate phone calls and how our SEO efforts are contributing to driving phone conversions. Is this a perfect system? Not quite. Like I said before, not all visitors choose to convert but that’s fine. Everyone shops differently these days and many people don’t see a reason to fill out a contact form unless there is some sort of discount offered. I can say though, if you’re running PPC campaigns and you don’t have this information, how are you making judgments about your online advertising spend? The information to make educated decisions is readily available; it’s time for the website providers in the automotive industry to take action and give dealers the opportunity to make smart, educated decisions with their online advertising. Questions about our setup? Need help understanding how all of these pieces tie together? Leave a comment below and I’ll be glad to answer any questions. Great stuff Kyle and thanks for the article. Looking forward to more down the road. You obviously have been doing a lot of work and I see you have a full custom dealer website. I guessing its on WordPress. I at one point had considered Mongoose Metrics but was able to achieve what I needed with Century Interactive, while having many of the tracking options you are using as well. It’s a powerful stance and great for tracking ROI when you can attach the search and behavior data to the lead. I will say I’m impressed with how you have been able to get this data into you CRM. What fields are you used to place this data into? Yes, our site runs on WordPress. We obviously took this route to take advantage of the open source nature of the platform. I haven’t had a chance to explore Century Interactive — how are their tracking capabilities? As far as the total CRM integration, there were quite a few steps to take (warning: nerd alert). 1. Like I mentioned in the article, we use UTM Monster to grab the utm values from the Google Analytics _utmz cookie. From there, we created 4 hidden fields on our forms — Source, Medium, Campaign, Keyword. Using a little jQuery, we attach the values from UTM Monster to the hidden fields for each form. Basically all that line of code is doing is grabbing the values from our contact form. Keep in mind that source is not a standard element for an ADF email. CRM doesn’t parse this well, but the data still travels with the lead. 3. I set up ADP CRM to parse our lead sources based upon certain “triggers.” For example, I used the trigger “Suss.net used cpc lead” for all leads that I want labeled as “Suss.net Used (cpc)” within the Internet section of our CRM. I added a new trigger for each medium that is possible so that each lead has an accurate label. Although the leads aren’t labeled by keyword, this information can easily be accessed for each lead but viewing the raw details of the lead. Whew, that was nerdy. Sorry folks! I obviously don’t expect the average Joe to know how to do this, but I think it’s necessary for the average Joe to understand that this is possible. You’re all paying top dollar for your website, but are you getting the information you need for the money? Great stuff Kyle, and yes a little nerdy :). Although there is nothing here that the average person couldn’t do with persistance and a willingness to learn. One of the biggest obstacles to putting this all together is the ADF. It would be great to have a dealer/vendor based online committee to produce an ADF 2.0ish. As a group we could start to push the industry to the next level. Maybe Jeff and Jared could put together a page/site… maybe??? Just a thought. Even in the state of ADF if dealerships want to do this on their own I believe that all of the tools that Kyle mentioned have .csv data available (Kyle, please correct me if that isn’t correct). So if you have a .csv file from Mongoose, one with your emails leads (with source data), and one of sold customers from your CRM then it is possible to create a consolidated ROI report. It would take a little time to set it up the first time, but from then on it should be pretty straight forward. Yeah, the ADF works but it’s definitely not ideal. It will definitely require some push from the industry to move forward. You are correct — each of these parties offers the ability to export data to a .csv file. So really this can all be done without the need for the full CRM integration. Its really informative News about online Dealership Loyalty Program ,And Very helpful articles for dealership and Pre paid Maintenance.I like it. Thanks for sharing wonderful articles regarding online business. Very good article Kyle–you’ve provided some great information and resources. measure the changes in their results. pass into our customers’ CRM. all of your marketing campaigns, particularly Paid Search. measuring and optimizing their marketing efforts. For your lead association, I’m a little lost. I imagine you set up a conversion page and some URL destination goals in Google Analytics, yes? How are you passing lead ID’s along with those conversions? Event tracking? What if your customers could buy a vehicle that pays them? Your traffic and your sales would increase tremendously anfd there would not be room enough to receive customers. So, go to the site below and sign up for the SUCCESS DRIVE today and watch customers beat a path to your door steps every day. Try it . . .
You are correct that all of our Thank You pages are set up as goals in Google Analytics. For every “Thank You” page on our sites, we pass the lead ID (that we send with each lead to our customers’ CRM’s) as a query string parameter, so its captured in GA. I love the shameless “Denver Used Cars” link in your bio.